Even in Engineering you’ll be able to fit an international experience into your schedule. You can choose to study abroad, intern abroad, or volunteer abroad. Yes, you can study abroad! Even as an engineering student. In fact, taking advantage of the opportunity to receive education in another country, live in another culture, learn how to communicate with people from around the world, and explore who you are will make you exponentially more marketable in your job searches. There are so many options to craft studying abroad into an experience that works for you, your schedule, and your goals — from studying, interning, researching, or volunteering abroad for a short term or entire year, to earning an International Minor. Being a global engineer is invaluable! Employers seek job applicants with international experiences and intercultural skills. These experiences can be a deciding factor in selecting new employees. Ready to explore your next great adventure? We thought so. For programs specifically geared for engineering students, IPENG has collaborated with technical engineering universities abroad. Select “ENG” under Illinois Sponsor. The advanced search feature allows you to be as general or specific as you would like. Programs available in the summer include courses in language and culture that can be applied to humanities, Western, or non-Western cultural studies requirements, and toward the International Minor in Engineering. A few programs offer some technical credit and research opportunities. Become fully immersed in a new culture with a semester or academic year program. These extended stays offer the most beneficial way to learn about another culture. If you are serious about developing your intercultural understanding and skills, consider spending one or two semesters studying abroad at a technical university. Engage in a new culture while pursuing your research interests abroad. IPENG offers research abroad programs in eight countries. The Illinois Global Internship programs in Barcelona, Dublin, London, or Sydney offer 8- to 10-week, full-time internship placements in nearly every career field. Collaborating with Global Experiences, IPENG provides 8- to 10-week full-time summer internship placements in nearly every career field in Sydney, Dublin, and London. Engineers without Borders is a Registered Student Organization committed to advancing the quality of life in impoverished countries via socioeconomically and ecologically sustainable engineering projects. Students from all disciplines design and implement these projects. The University of Illinois at Urbana-Champaign chapter is founded on the philosophy of helping developing countries while also holding local events teaching sustainable development. This is a great opportunity for freshmen to impact the lives of Guatemalan families through hands-on engineering projects. Prior to the trip, students take an second 8-week course during the fall semester on the concept of service learning as well as the history and culture of Guatemala. They then travel with IPENG staff to Guatemala to build a house during winter break. Prior language and international experience is not required. This minor is focused on increasing your global awareness in a specific geographic area as well as expanding your engineering education. Classes are taken on the University of Illinois campus, as well as abroad. You are required to spend at least six weeks abroad in your minor region. 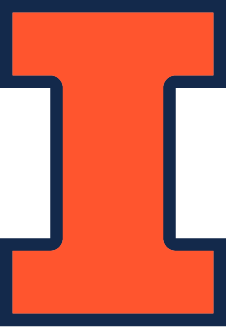 To help exchange students transition to their life at the University of Illinois, the IPENG Buddy Program connects new exchange students with students returning from studying abroad. Buddies eases the transition for exchange students by providing friendship and guidance.